I know there is a place for both types of engraving, and engravings can be a combination of the two, but based on my last two engravings, I think I will be doing much more white line engravings than black line in the future. 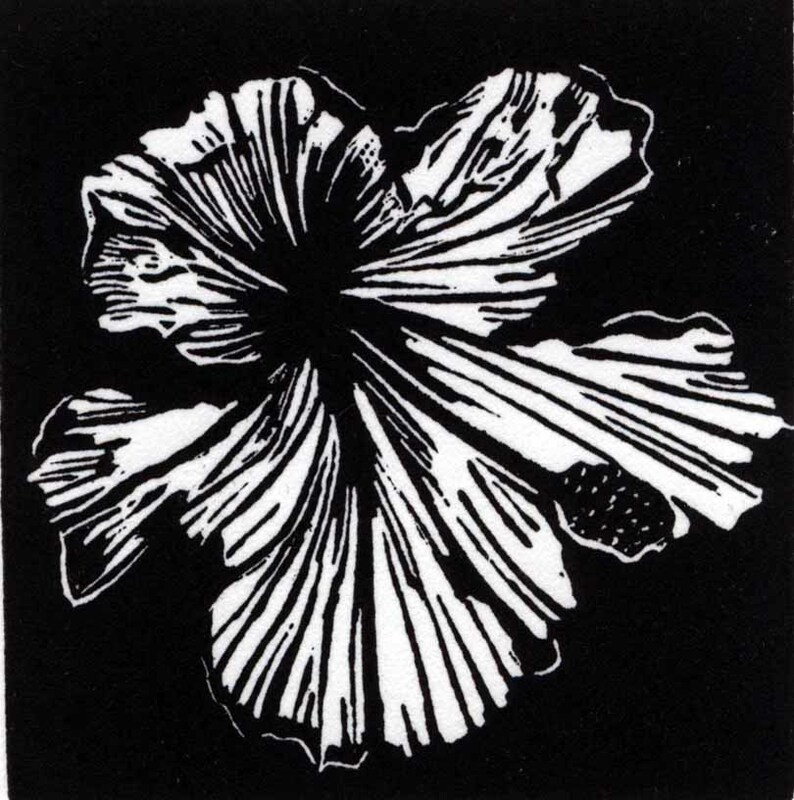 This hibiscus is 2 3/4″ x 2 3/4″. It was carved on degame.